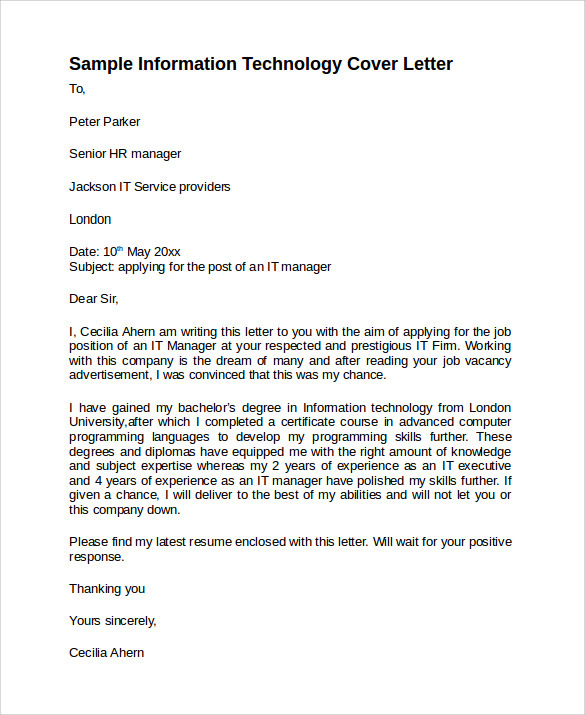 Today, there is a lot of competition going around any where you go especially when getting hired in the information technology field. 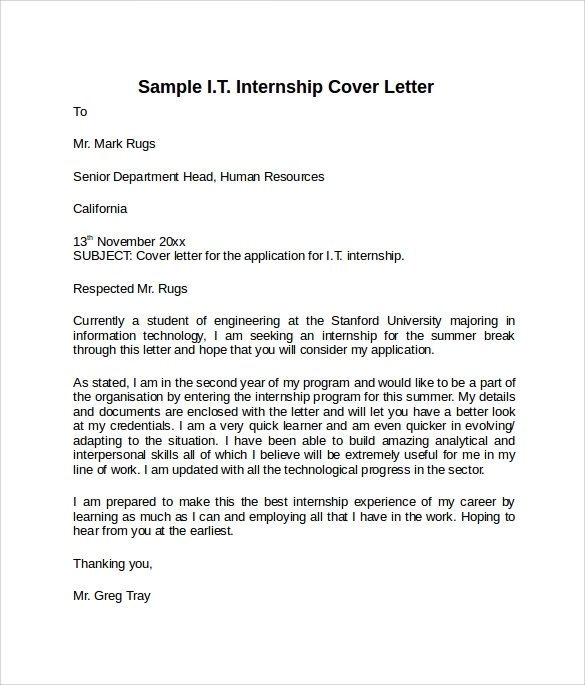 One way of having your details be highlighted by your employer is using an Simple Cover Letter information technology is the presenting tool where you can use to partially show your edge in programming nay anything under the use of internet or computer and stand out from the rest of the applicants. 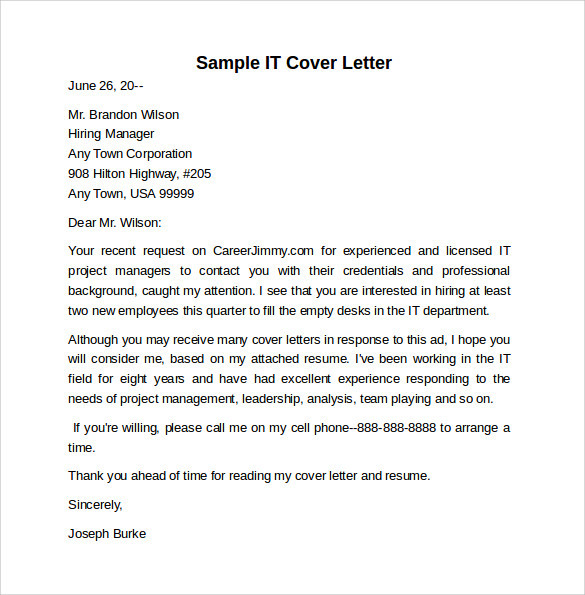 If you are looking for fresh ideas you can surf the internet and download a free sample template for your cover letter or just use your file using the Microsoft word program so you can print the file when finished. 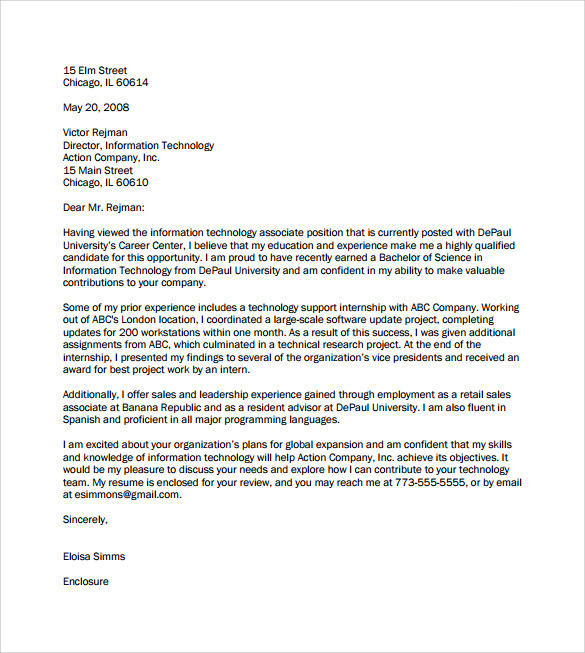 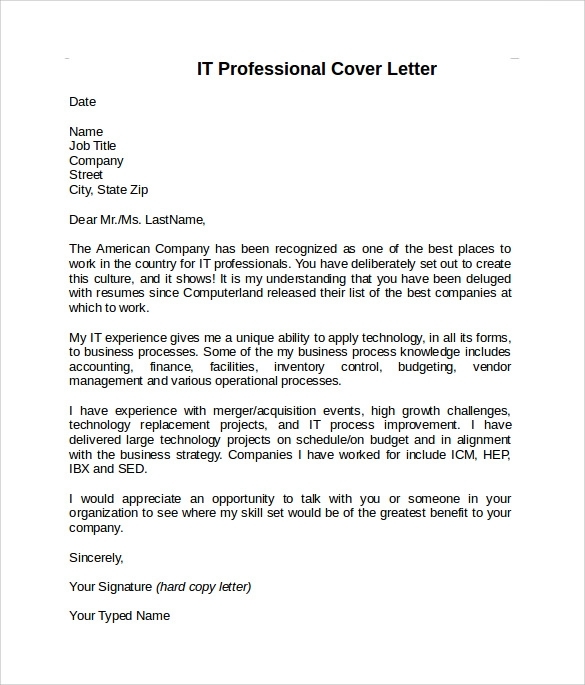 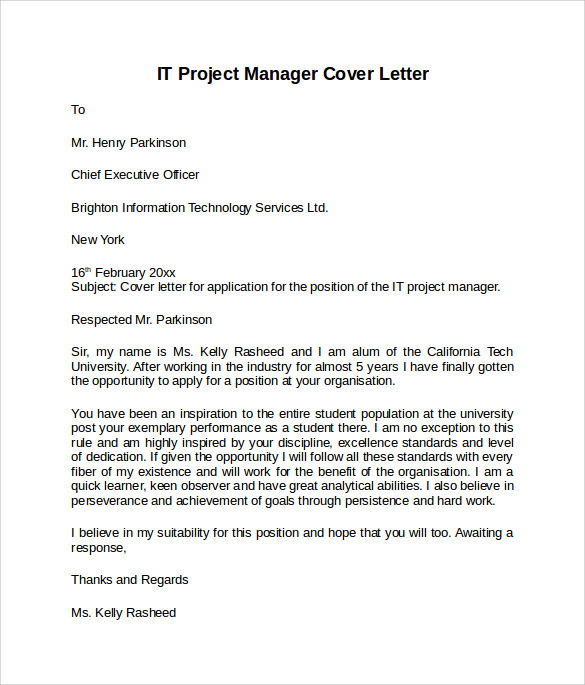 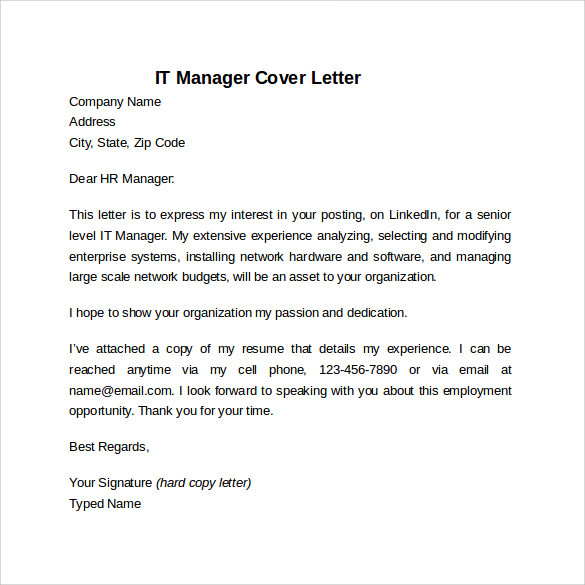 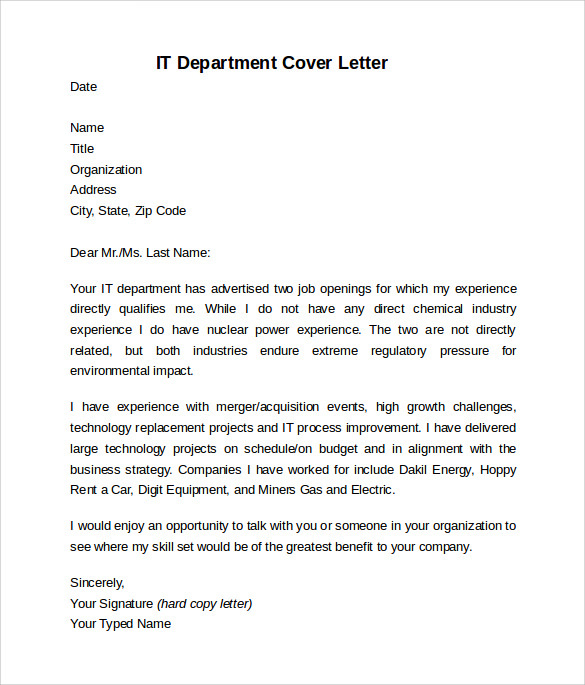 Information technology cover letter template will give you the guide on what you should put in your letter to be given to your employer before having the interview for your hiring.